Written labels simplify life, make us safer, and tell us what do. Imagine an oven with no dials, a phone with no buttons, or a traffic sign with no words. You would simply see objects and shapes and have no idea how to operate or use them. Safety labels serve a vital role in our society. At U.S. Nameplate, we’ve been designing and manufacturing custom labels for more than 70 years. We’re a trusted source for more than 3,000 Original Equipment Manufacturers (OEM’s) across the globe. They rely on the high quality of our labels for their industries, including applications in medicine, construction, farming, the military, electronics, and transportation. Safety is paramount in all the fields above. For example, soldiers, doctors, and utility workers need quick access to information. They require instructions, warnings, and equipment specs to be readily available. Our durable custom safety labels fit the bill. Many industries—like mining and the military—require equipment that stands up to harsh summer rays, freezing temperatures, corrosion, and brutal atmospheric changes. 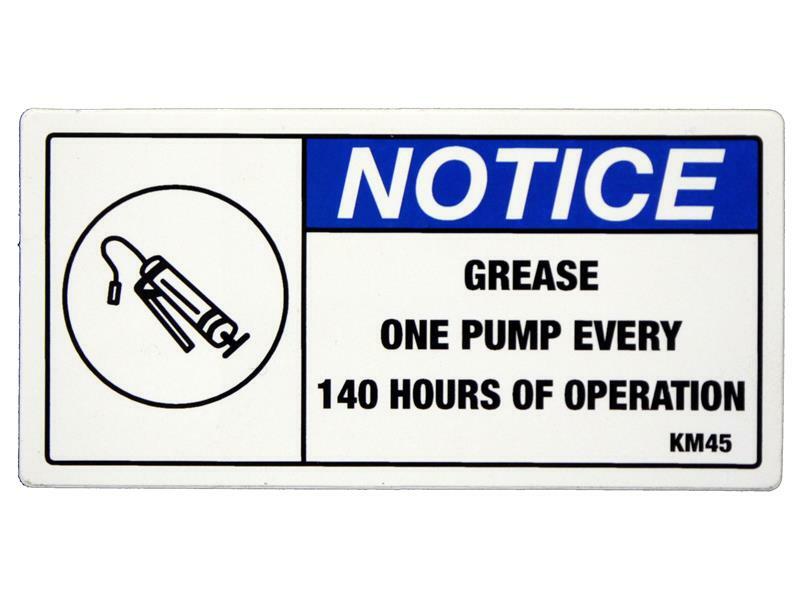 To operate their machinery, users must have clear, long-lasting safety labels. U.S. Nameplate works with engineers, managers, architects and others when we begin on a project. 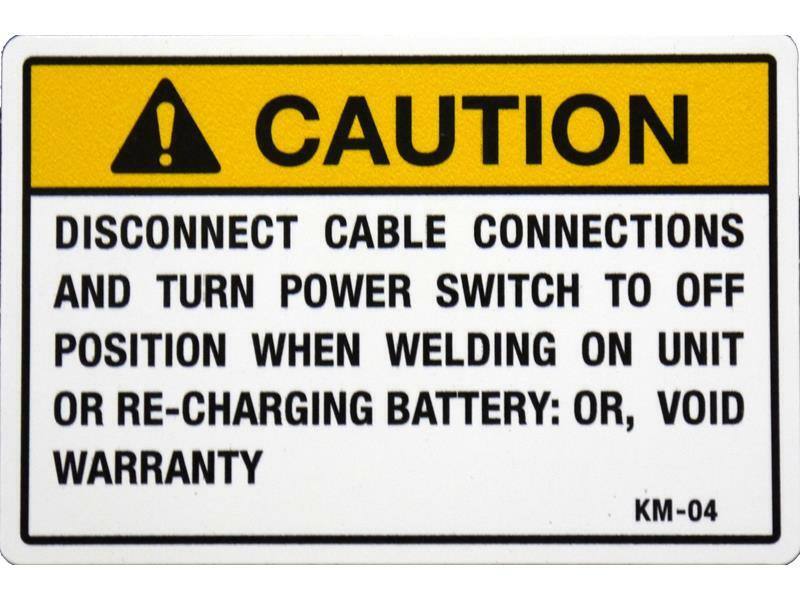 We can custom design safety labels for any application. 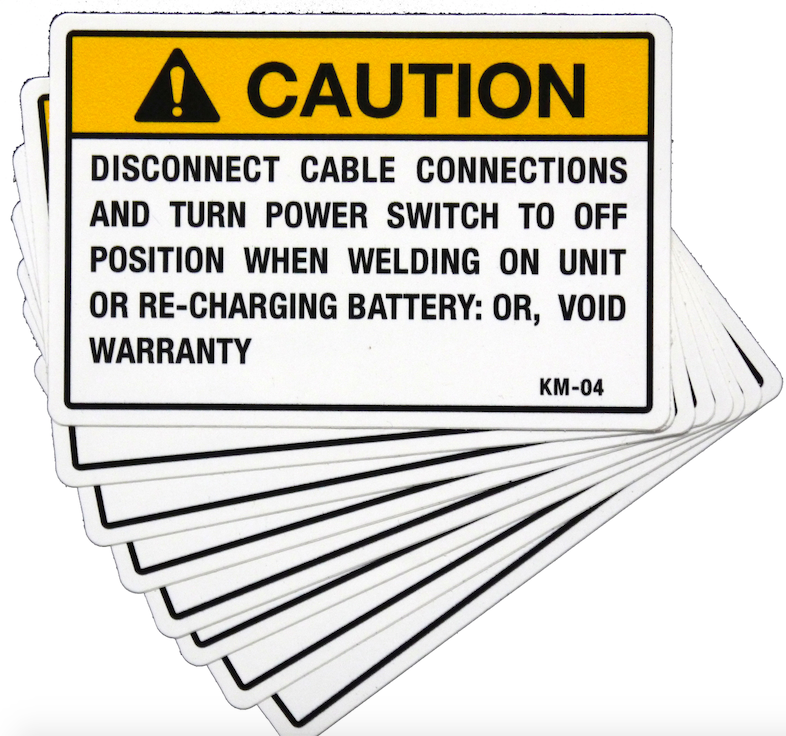 Our affordable and high quality safety labels for OEM’s help them keep workers safe and on task. If a label doesn’t adhere to a surface, it’s useless. It’s as simple as that. At U.S. Nameplate, we’ve been the OEM supplier of choice since 1946. We’ve worked with hundreds of industries and applications. We’re constantly upgrading our technology and skills; consistently investing in new equipment and training. We know our safety labels must be able to survive dramatic atmospheric and environmental conditions. Whether they’re attached to a tank going into battle, a material handler traveling to the bottom of a mine, or a motor coach driving through freezing temperatures, our labels take a beating. At U.S. Nameplate, we’ll work with you to determine what type of adhesive and type of material is best for your needs. Different textures require different types of labels. We can handle any type of request you have. We’re proud to offer all our services under one roof, including design, fabrication, and printing. 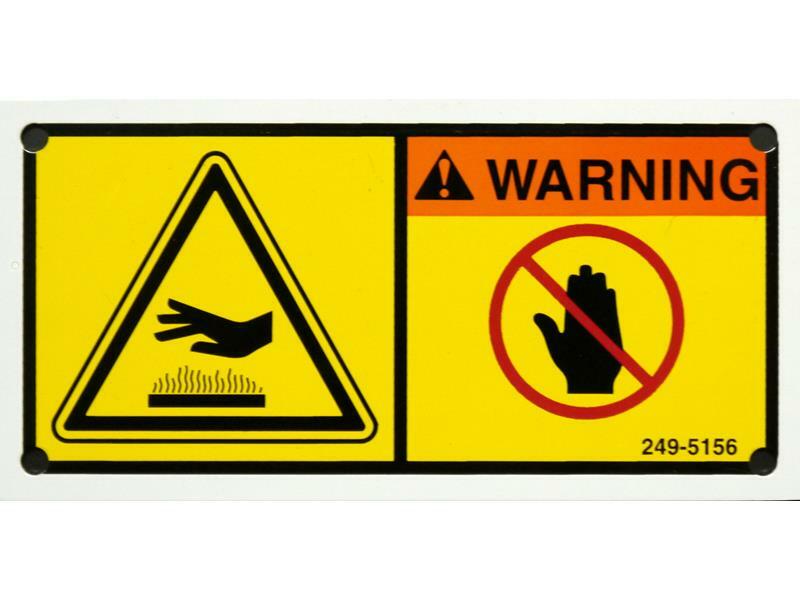 We can ship your custom safety labels in strips, rolls, or individual pieces. You’ll also appreciate that we can keep your labels in inventory for just-in-time delivery. A symbol, according to the Merriam Webster Dictionary, is something that stands for or suggests something else by reason of relationship or association. The shape of a sign or label should immediately convey the meaning. In traffic, for example, think of the octagonal shape of stop signs, the diamond shape of traffic signs, and the rectangular shape of speed limit signs. The size and shape of safety labels also follow pre-determined standards. These help workers identify at a glance what type of message to expect. With state-of-the-art die cutting, digital cutting, and machining and forming technology, U.S. 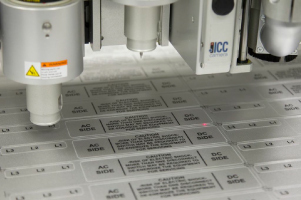 Nameplate can quickly and effortlessly create any size or shape safety label you need. And everything—from your initial phone call to final distribution—is handled in our modern 55,000 square foot Iowa facility. There’s no outsourcing; we handle every detail of your order. Color affects your mind and your body. Your brain reacts more quickly to color than text or print. That’s why choosing the right color is critical for safety labels and other products. According to Texas A&M University: the most obvious application of color standards is seen in the transportation, manufacturing, and public works. In America, when you see red, what do you think? Stop. What about green? Go. Color plays a huge part in our everyday lives and even in our subconscious. A quick stroll through your local supermarket will show the prevalence of certain colors. There is an entire psychology of colors that industries tap into—from clothing designers to interior designers to food packaging manufacturers—to evoke a certain mood or promote a certain behavior, like buying. Original Equipment Manufacturers (OEM’s) are no different. Colors for safety labels must be bright, bold, and highly visible. They must convey a specific action or response from the viewer. The Occupational Safety and Health Administration (OSHA) and the American National Standards Institute (ANSI) have determined what certain colors should convey at the workplace. The purpose of uniform regulations is to ensure standardized safety across industries. Both organizations have decided, among others, what the following colors should designate. Why take a chance with your employee’s safety? If your industry employs people who speak languages other than English, U.S. Nameplate will work with you to custom design warning labels in their native language. 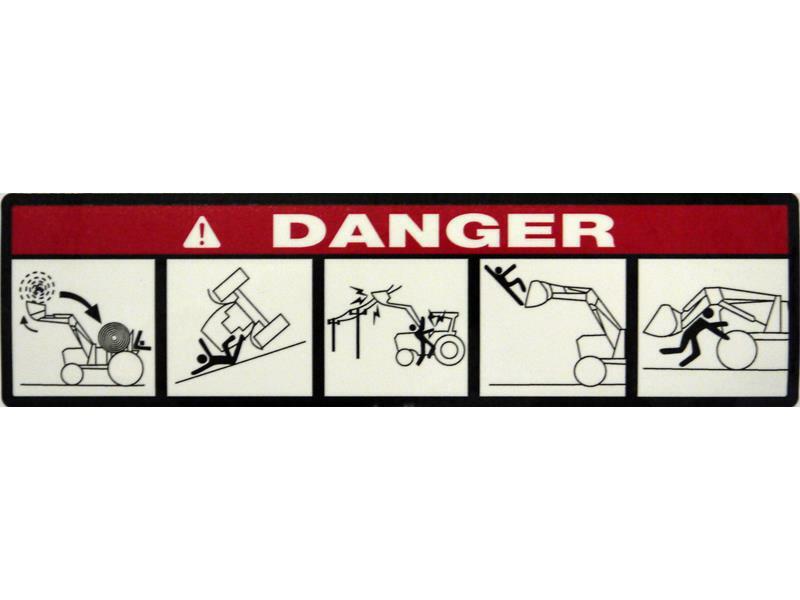 Most industries have exacting standards for their safety labels. At U.S. Nameplate, we’re pleased to meet these standards and proud of our many certifications and designations. Our rugged labels meet standards set by the International Organization for Standardization (ISO), are authorized by the UL, and meet strict compliance rules for OSHA. We know you’ll enjoy working with the experienced and friendly representatives at U.S. Nameplate. We’re you’re one-stop-shop, ready to create long-lasting safety labels for all your needs and all your applications. Contact us today.